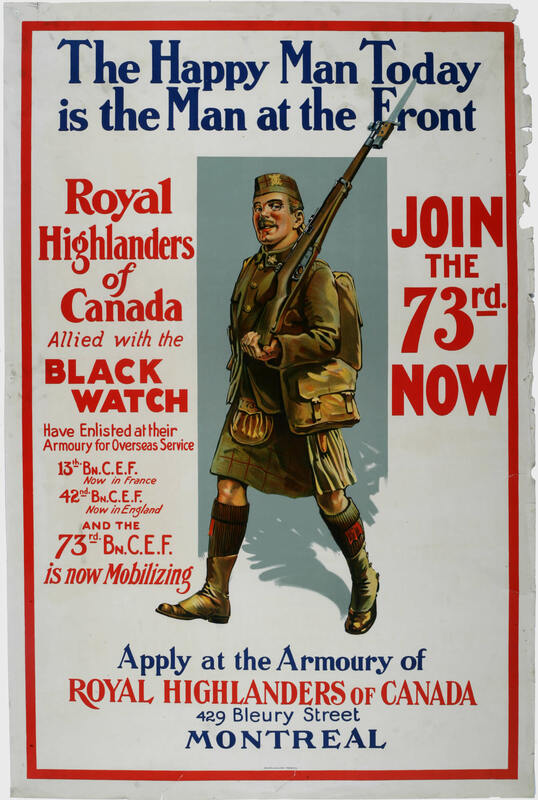 This poster for the 73rd Battalion, the Royal Highlanders of Canada, promises that the happy man today is the man serving at the front. Montreal, Canada's largest city during the war, sent several infantry battalions overseas. The 73rd Battalion served with the 4th Division from 1916 to its demobilization in 1919.